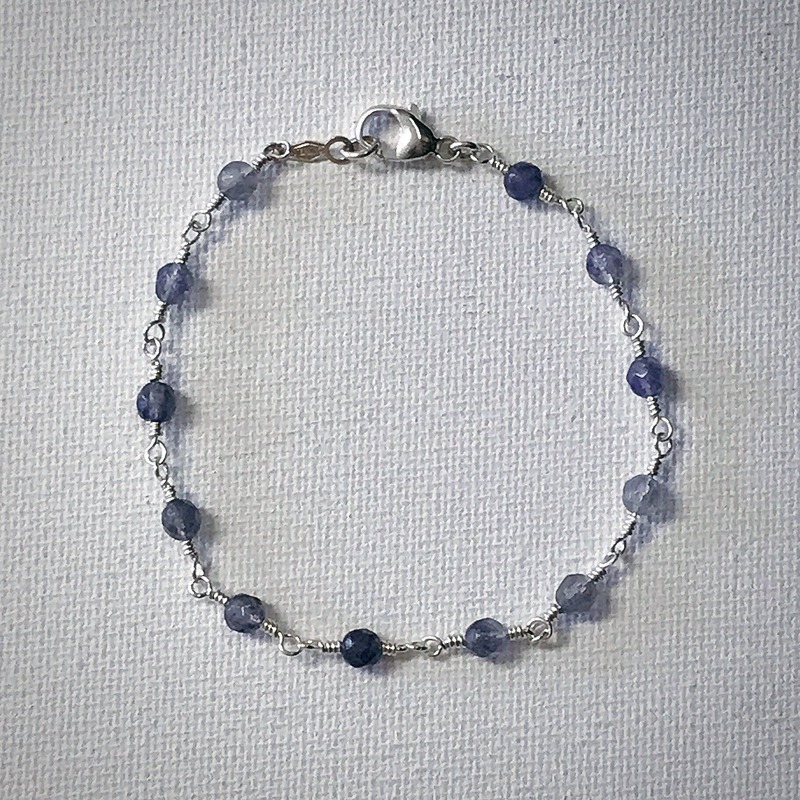 This delicate bead chain bracelet features 4mm faceted round iolite beads. 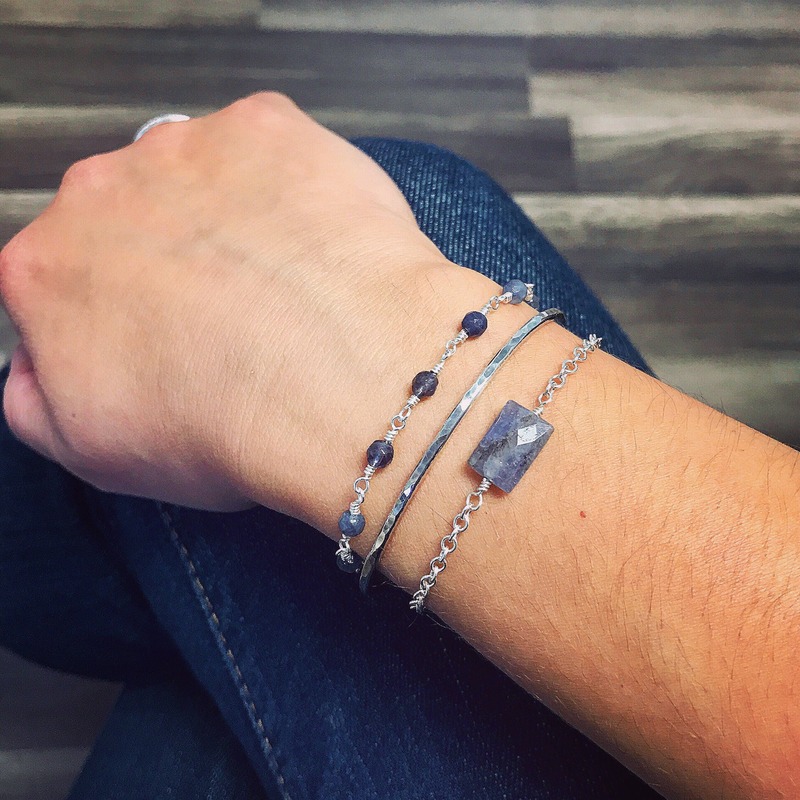 We wrap each bead by hand using sterling silver wire. The clasp is a sterling silver lobster claw. 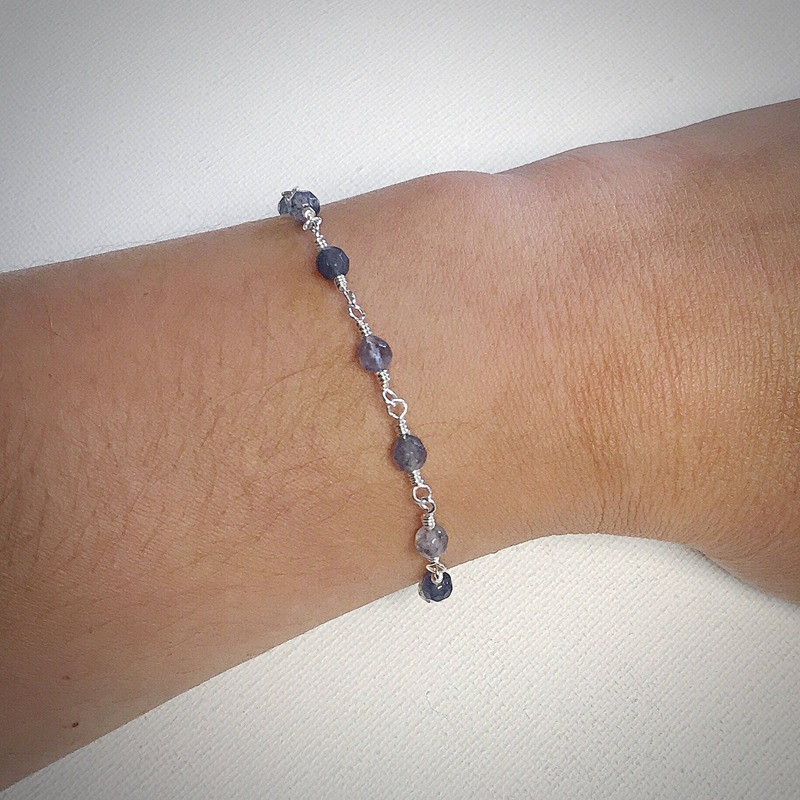 This dainty beaded bracelet makes a lovely gift. The bracelet measures 7 inches in length.